Surprise! 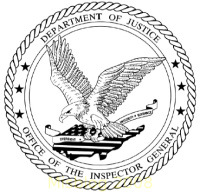 The United States Department of Justice, Office of the Inspector General (OIG) issues a scathing 199 page report (4M pdf) on the FBI's improper and illegal use of National Security Letters (NSL). After the OIG report states that the FBI''s use of NSLs has grown dramatically from 8,500, pre-Patriot Act to 143,074 post-Patriot Act1, 2003-2005 it catalogs the problems. 1. No policy for retaining copies of issued NSLs. 2. No uniform system for tracking NSLs and the information obtained under them. 3. Improper and illegal use of NSLs. 4. Improper use of "exigent" NSLs. 5. Inability to connect NSLs with specific and proper National Security Investigations. 6. Failure to adhere to internal FBI internal controls and policies. 7. Not adhering to the least intrusive method for obtaining data, as required. 8. NSL database incomplete and inaccurate. 9. Complete loss of NSL data. 10. Twenty-two percent more NSLs in case files than in NSL database. 11. Under reporting the number of issued NSLs. The District Court's decision has been stayed for 90 days while the DOJ decides whether to appeal to the Ninth Circuit. The current administration must decline to appeal and cease utilizing our Judiciary to implement a doltish propensity to perpetually subvert our Constitution by coupling legal sophistry with the double subterfuges of "national security" and "state secrecy".